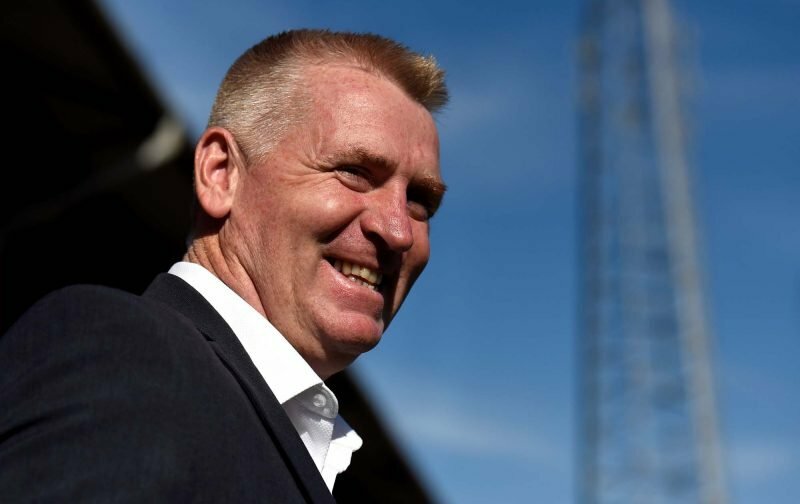 Dean Smith was full of praise for Orjan Nyland, saying he’s “really pleased for” the Aston Villa goalkeeper after his heroics in Boxing Day’s 1-0 win over Swansea City. The Midlands outfit picked up all three points at the Liberty Stadium to get their hunt for promotion back on track and had Nyland to thank for saving an injury-time penalty. The 28-year-old kept only his sixth clean sheet in the Championship since joining from FC Ingolstadt over the summer and put in a fantastic performance at a time where his place in the side had been under the most scrutiny. Nyland’s start to life at Villa Park hadn’t been perfect with the goalkeeper shipping 33 goals in 21 games before the Swansea game, but he’s solely changing fans’ perceptions with more assured efforts. With Villa recently signing Lovre Kalinic, Nyland is expected to lose his place between the sticks in the second-half of the season. His heroics against Swansea show how much he wants to retain the jersey, however. Smith said to Club TV: “I’m really pleased for Ørjan, and also the goalkeeping department. All of them do a lot of work on figuring out which way players are going to go. It’s hard to believe Smith that Kalinic’s arrival was only to provide competition, given he’s overlooking Mark Bunn and Andre Moreira in his squad. He’s spent £7m on Croatia’s No.1 shot-stopper, so such a signing was never meant to be only as back-up. Nyland isn’t letting go without a fight, however.